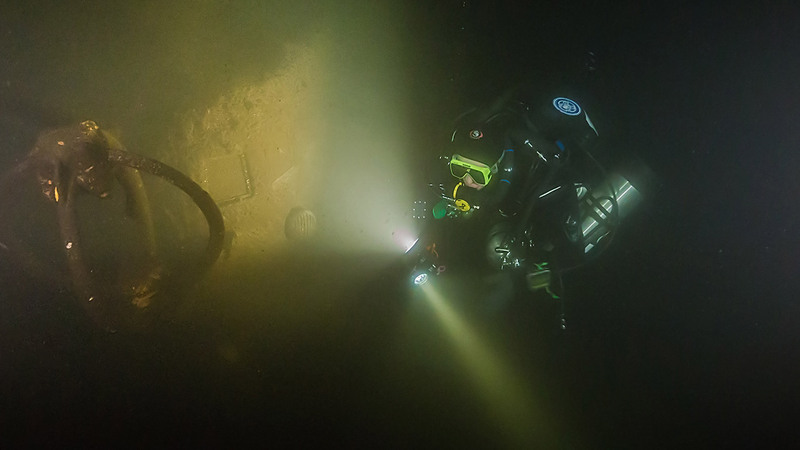 Found, explored and identified in a joint search expedition by our team and the Finnish SubZone team in 2016. The Shch-class X-bis series submarine was lost in May 1943 in the Gulf of Finland after a brief but intense artillery battle against German high-speed barges. 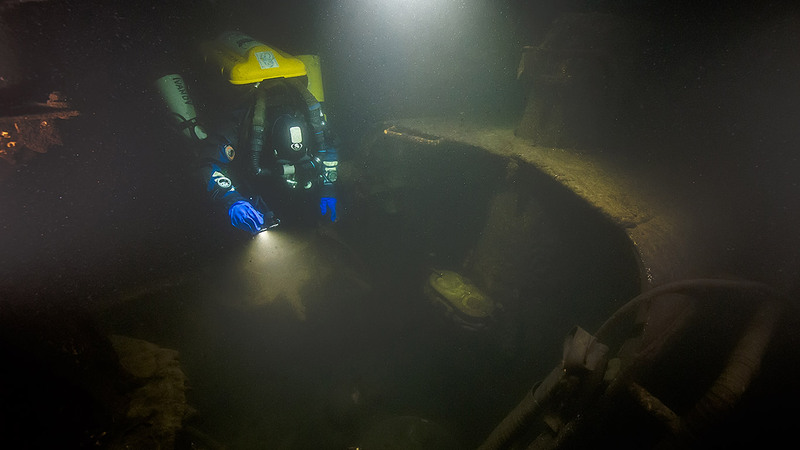 From the time the sub was lost until May 2016, the details of this event remained unknown: the reason why the ship sank was unclear, as well as why it was not at the coordinates where Finnish ships reported that it sank. The story of Shch-408 is one of the most tragic tales of the Baltic submarine fleet. In 1943, the Germans finished installing their anti-submarine barriers in the Gulf of Finland. Multiple minefields and an anti-submarine net with a 1-meter mesh diameter blocking the full width of the Gulf of Finland made it nearly impossible for Soviet submarines to reach the open Baltic Sea. Nonetheless, the ability to fight in the open Baltic Sea and interrupt Germany’s iron ore supplies were strategically important for victory, and the Baltic Fleet command decided to send a force of five ships to attempt to break the defensive lines. Shch-303 went first but her commander decided to turn around after meeting strong enemy resistance and finding it impossible to reach the open sea. He was unable to contact command due to the heavy German anti-submarine activity, so the Baltic Fleet headquarters considered the submarine lost. The second submarine sent to cross the Gulf of Finland was Shch-408, commanded by Pavel Kuzmin. Kuzmin successfully crossed the first line of anti-submarine barriers, but oil and fuel leaks from Shch-408 caused the sub to be discovered by a Finnish reconnaissance plane, not to mention that near Vaindloo Island, Shch-408 practically crossed paths with Shch-303, which was on its way back to base with enemy ASW forces hot on its tail. Three of the German high-speed barges (HSBs) that had been following Shch-303 turned to follow Shch-408 instead. The sub ran out of battery power and air reserves. On 22 May 1943 at 2:50 AM, Shch-408 surfaced within sight of the German HSBs and engaged them in an artillery battle. Based on German reports, the sub was hit in the bow and near the stern gun. After the hit and explosion, the gun crew fell and sailors who came topside to replace them continued to fight, hitting the HSBs several times. Commander Kuzmin took advantage of surfacing to transmit a radiogram to base: «Attacked by ASW forces, have taken damage. Enemy makes it impossible to recharge. Request aviation support. My location: Vaindloo.» After a brief but fierce ten-minute battle, the submarine once again submerged: according to German reports, it went down stern first. Soviet aviation was unable to reach the sinking submarine. The German HSBs were soon replaced by two Finnish ASW ships: the Rienlahti and Ruotsinsalmi, which dropped a large number of depth charges near the area where the submarine had submerged, after which, at 4:50 AM, they noticed the appearance of a large air bubble and debris. Several more days of sonar observation of the area confirmed that Shch-408 sank together with its entire crew. 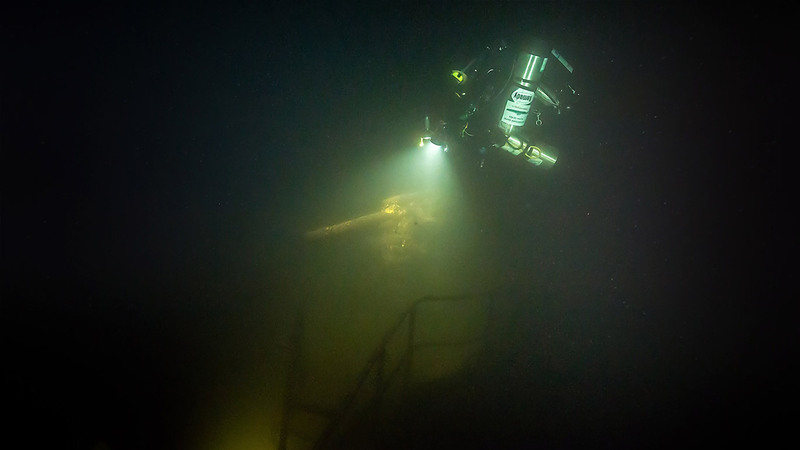 A photojournalist was on board one of the Finnish ships and photographed everything that was happening. The photos presented here are real and are related to the sinking of Shch-408. 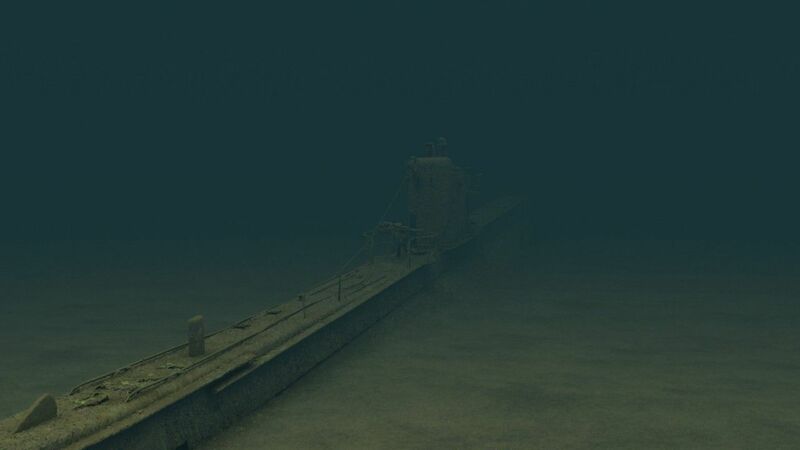 Seafloor conditions: the submarine lies at a depth of 72 meters on an almost even keel, nose-heavy with the stern significantly higher than the bow. The soil is clay, and the sub is almost up to the waterline in silt. Both of the sub’s guns are combat-ready: plugs removed, optical sights installed, aimed to the port side where the German HSBs were located. Open shell boxes lie nearby. The commander’s periscope is raised, turned to the left (probably from Kuzmin viewing the horizon before surfacing). The bridge and emergency hatches are closed, and a PPSh machine gun is mounted in the sail housing. The submarine has some visible damage: 45mm shell impacts can be seen on the sail, the sail fin is dented and damaged, and there are holes from 75mm or 100mm shells near the place where the PPSh machine gun is mounted and where Commander Kuzmin should have been posted during battle. Depth charge damage is also visible: the rails are bent and the sail housing door is torn off. Submarine Commander Pavel Sergeevich Kuzmin was likely killed during the night battle: the 75mm shell hole near where Kuzmin was likely to have been and the PPSh left behind (which most likely belonged to him) suggest that this was the case. The damage that the submarine took during the night battle did not sink it, nor did the depth charges. Based on the ship’s position, the crew tried to surface: the stern ballast tanks were blown (the stern is raised, even though the sub submerged stern first), but the bow ballast tanks were likely damaged in the battle, and there was not enough buoyancy and compressed air reserves to lift the boat to the surface. The bubbles that the Finns saw were more likely the result of attempts to blow the bow ballast tanks and surface – the sub’s crew had made the conscious decision not to abandon the sinking ship (the hatches were closed). Later, after the expedition had ended, we discovered another sensitive detail while talking with our colleagues from the Shch-408 museum. A year before his first (and final) campaign, Pavel Kuzmin went home on leave. Nine months later, his son was born and, before leaving for the campaign, he wrote to his wife asking her to send a photo of their son. The return letter arrived at the submarine base on 22 May 1943, the same day that Pavel Kuzmin engaged in his first and final battle. His fellow sailors sent the undelivered letter back to his family and it is now kept at the Shch-408 museum in St. Petersburg. The tragic loss of Shch-408 had a serious impact on the Baltic Fleet submariners. The command promised them all possible support and assistance in crossing the Gulf of Finland, but in fact they were unable to save Shch-408, which sank practically within sight of the Soviet base. There were three more unsuccessful attempts to break out of the anti-submarine barriers by other ships in 1943: the S-9 (which we found in 2013), S-12 and Shch-406 (which we found in 2017) were lost. These events forced the Baltic Fleet command to cease its attempts to break out of the anti-submarine barriers until 1944. 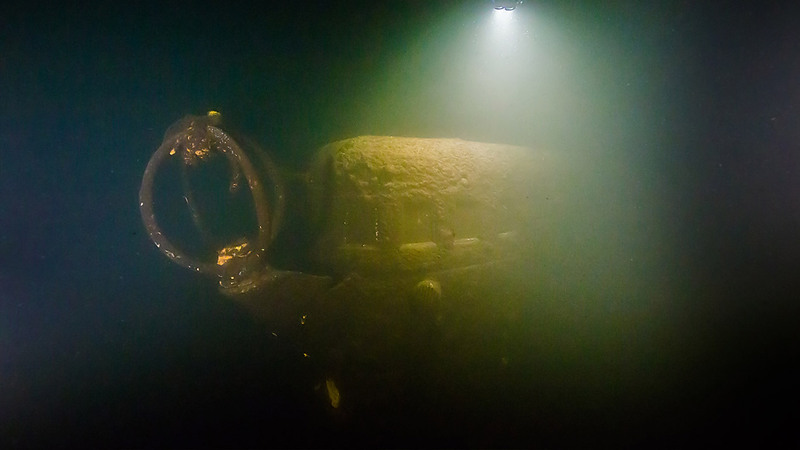 In April-May, as a result of a joint expedition of the Underwater Expedition Team and the Finnish SubZone team, with the support of Transneft, the Midshipman’s Club, and the Shch-408 museum, the submarine was found and identified, and many of the details surrounding the events of 1943 were clarified. More details are available in our video report, as well as in the articles on our friends’ websites.